P.P.S. : Did you enter my KN Chenille lounge sock giveaway yet?! I need ALL of that stuff! I need to get to Walgreens!! 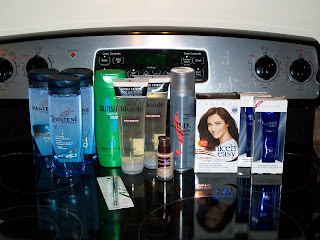 Great find on all that hair stuff! And your stove looks very nice too!